Its a GREAT Car you will not be disappointed its only done 152k’s, its a Prado with the 3ltr unburstable engine they go forever. Rego expires July 2019. Imagine driving on the rough terrain in this 2008 Toyota Landcruiser Prado. 4 Cylinder Turbo Diesel Engine (D4D). Spare Wheel Cover. So sad to be saying goodbye to this car! Elec Windows. Floor Mats. New Delkor Battery. Alloy Wheels. Hayman Reese Towbar (Heavy Duty). 2005 Landcruiser Prado in white. 5speed manual. Motor is 1KZTE Turbo Diesel. In excellent condition for 2005 model with 228500 kms. Car has always been serviced. The only issue I have ever had was a new radiator at about 80000kms that was replaced by Toyota. 2016 Toyota Landcruiser GLX Prado. Roof racks and roof basket not included. 4 new tyres October 2018 (12K km). Sale due to upgrade vehicle. During the next 2 weeks vehicle in Mudgee after that in Lismore. 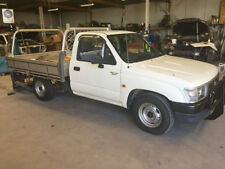 Toyota Prado, turbo Diesel. 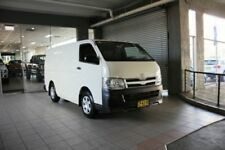 8 seater, 2004, 140000ks. Fully serviced with logbook. Located in Seven Hills Brisbane. Located in Brisbane. Dual batteries. Panasonic cd, mp3, bluetooth unit. New dobinson suspension. 4 new tyres. Roof racks. TOYOTA LANDCRUISER PRADO GXL TRAVELLED 92500 KM BLACKTOP HIGHWAY TRAVEL ONLY. REMOTE CENTRAL LOCKING. KEY LESS ENTRY. Vehicle 2013 Toyota Landcruiser KDJ150R MY14 Prado GXL (4x4) Charcoal 6 Speed Manual Wagon. Body Colour Charcoal. Gearbox Manual. Adjustable Driver Seat - Manual. 12 Volt Power Outlet. Aux/USB Input Socket. 159,000 KM - Turbo Diesel - Automatic - 2007 Toyota Landcruiser Prado, Bullbar. Complete Service history at Toyota, Timing belt already done at 144,000. Vehicle 2007 Toyota Landcruiser Prado KDJ120R MY07 GXL (4x4) White 6 Speed Manual Wagon. Gearbox Manual. Body Colour White. One plan is available and suitable for all vehicles regardless of age or distance travelled. 2012 Toyota Landcruiser Prado KDJ150R 11 Upgrade GXL (4x4) White 5 Speed Sequential Auto Wagon. Vehicle 2012 Toyota Landcruiser Prado KDJ150R 11 Upgrade GXL (4x4) White 5 Speed Sequential Auto Wagon. Rear Spoiler. Vehicle 2007 Toyota Landcruiser Prado KDJ120R MY07 GXL (4x4) Silver 5 Speed Automatic Wagon. Gearbox Automatic. Body Colour Silver. A range of plans are available to suit most vehicle makes, ages, distance travelled, the levels of cover required and your budget. 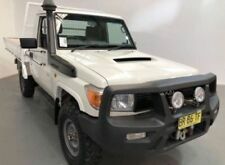 2010 Toyota Landcruiser Prado KDJ150R GX (4x4) Silver 5 Speed Sequential Auto Wagon. Vehicle 2010 Toyota Landcruiser Prado KDJ150R GX (4x4) Silver 5 Speed Sequential Auto Wagon. Body Colour Silver. Trim Colour Black. Vehicle 2008 Toyota Landcruiser Prado KDJ120R 07 Upgrade GXL (4x4) Silver 5 Speed Automatic Wagon. Gearbox Automatic. Body Colour Silver. Finance Available . LMCT 11110. --service books. --bull bar. Vehicle 2015 Toyota Landcruiser Prado GDJ150R MY16 GXL (4x4) White 6 Speed Automatic Wagon. Rear Spoiler. Gearbox Automatic. Body Colour White. A range of plans are available to suit most vehicle makes, ages, distance travelled, the levels of cover required and your budget. 2014 Toyota Landcruiser Prado KDJ150R MY14 Altitude (4x4) Grey 5 Speed Sequential Auto Wagon. Vehicle 2014 Toyota Landcruiser Prado KDJ150R MY14 Altitude (4x4) Grey 5 Speed Sequential Auto Wagon. Body Colour Grey.